Parking will undoubtedly be different in the future. Everything is changing–factors that affect the amount of parking used, the way it is accessed, the design of parking facilities, and parking management tools such as dynamic pricing. This is a time of rapid disruption in city management, transportation, and parking. Because there is uncertainty about how trends will play out and interact, parking professionals must be adaptive and creative. It is vital for the parking industry to be ready for a range of future conditions. While some trends are clear, others are uncertain. Demographers inform us about an aging society, marked by members of the large baby boom group who will stop driving in the coming decades. While at least some of the millennial group seek urban communities that are less reliant on private vehicles, the delayed entry of some members of this generation into job and housing markets creates uncertainty about whether they will adopt living and commuting patterns as their parents did. They may. An important question for the future of parking is this: will people own their vehicles in the future or will they prefer to use mobility services as needed? If they choose the latter, this will reduce the amount of parking used in cities and suburbs. It is likely that these preferences will differ between urban and suburban areas, with urban areas experiencing the largest decreases. There is no crystal ball to answer these questions. There are many scenarios and contingencies, but most of them involve less parking per unit of development. Fast-growing communities may continue to add parking, albeit at a slower rate, while status quo or slow growth ones may be able to reduce parking supply. This chapter summarizes a key point: parking will play a smaller role in cities and suburbs in the future. The primary shift will be to emphasize efficient management of parking over new parking construction. 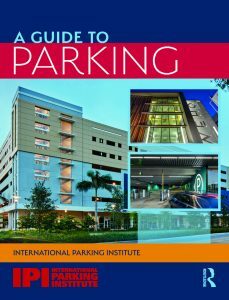 Richard W. Willson, PhD, FAICP, is professor in the Department of Urban and Regional Planning at Cal Poly Pomona and author of Parking Reform Made Easy and Parking Management for Smart Growth.